Speaking to more than 600 wildfire professionals, Interim US fire chief Vicki Christiansen says last year’s wildfires set records on acreage burned, money spent and manpower employed. If that’s not enough, she’s also fighting for “prescribed burns” and against “workplace cruelty“. In related wildfire news: BC Minister Donaldson toured areas devastated by fires in the Cariboo Region; while the benefits of post-fire logging are being debated in California and Oregon. In other news: BC expanded its logging contractor relief fund to include silviculture companies; Alaska Airlines is switching from plastic to white birch and bamboo utensils; and tall wood towers are being pitched in Auckland and the Big Apple. Finally, Tom Fletcher tries to make sense of BC’s climate policy noting that “if weather and climate were as predictable as gravity, making policy choices would be less risky”. PICTOU, N.S. — The picturesque harbour town of Pictou, N.S., has had an uneasy relationship with its job-rich, toxin-spewing neighbour almost since it opened in 1967. Now, the Northern Pulp mill is facing a possibly existential challenge over the massive amounts of effluent it casts off each day. After years of pumping 70 million litres of treated wastewater a day into lagoons on the edge of the Pictou Landing First Nation reserve, Northern Pulp wants to pipe it into the nearby Northumberland Strait. The pulp mill — a key engine of employment in northeastern Nova Scotia and vital to the local forestry sector — says no pipe means no mill. But some properties in the town are sprinkled with “No Pulp Waste In Our Water” signs, an indication of increasing impatience with Northern Pulp and its spotty environmental record under a succession of owners. To protect America’s forests from wildfire, the leader of the U.S. Forest Service first must protect her own colleagues from workplace cruelty. “This is a watershed moment for the agency,” Forest Service Chief Vicki Christiansen said on Monday. “We can’t achieve the critical conditions necessary to improve the conditions of American forests unless we have an inclusive environment.” That means making the Forest Service a place where women and minorities can work feeling free from harassment, bullying and retaliation, Christiansen said. 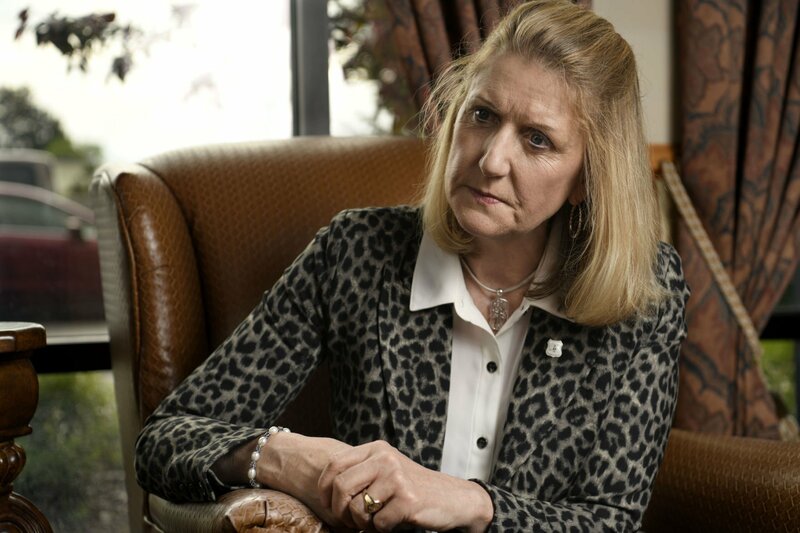 She took that on as one of her first tasks within days of her appointment as interim chief of the agency, in the wake of predecessor Tony Tooke’s resignation after revelations of his sexual misconduct with a female coworker he supervised. Byrne Miyamoto is finished with juniper. 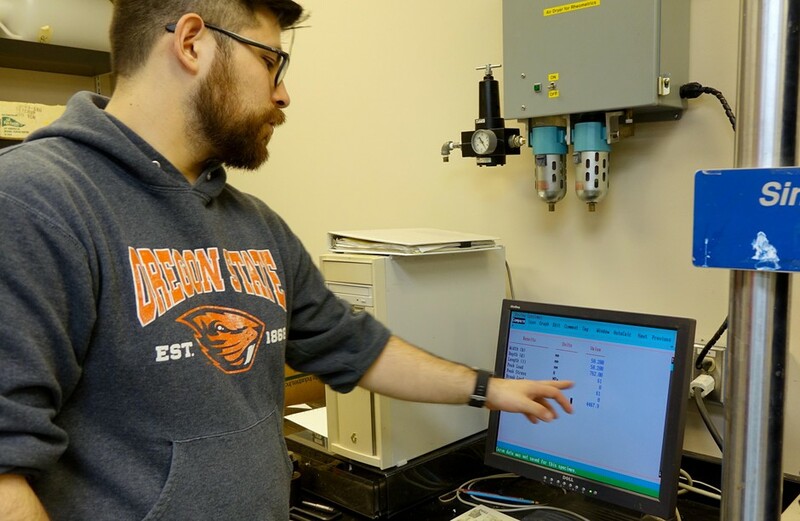 At least he wants to be.For the past three years, the Oregon State University graduate research assistant has been hauling juniper from Eastern Oregon and cutting it up to avoid knots. “Getting a small clear sample out of a tree that is twisted and has knots everywhere is very difficult,” he said with a chuckle. Miyamoto would then run the knot-less boards through a series of tests at the university’s wood testing lab. …But there was a purpose. This kind of information about western juniper just wasn’t know. With the data Miyamoto gathered, a set of use guidelines, or design values, were created. And this spring, Western Juniper was added to a publication called the National Design Specifications for Wood Construction – a sort of bible for builders in the United States. ROSEBURG — The Douglas Timber Operators Board of Directors is announcing the appointment of Matt Hill as DTO’s new Executive Director. Bob Ragon served as DTO’s previous Executive Director since 2000, and retired at the end of the 2017.Gabe Crane, President of the DTO Board of Directors, thanked Bob Ragon for his years of service. …Formed in 1968, Douglas Timber Operators represents more than 140 manufacturing, logging, trucking, and supportive businesses, and private landowners and individuals throughout southwestern Oregon. Governor Nathan Deal recently signed a key piece of timberland tax reform legislation, a big step in providing tax equity for the 450,000 private forest landowners across the state. House Resolution 51, a constitutional amendment, and House Bill 85, its enabling legislation, are aimed at creating a more uniform, fair market valuation of timberland for ad valorem taxation purposes. The legislation will be included as a referendum on the November ballot. “Georgia’s working forests generate significant economic investment in our local communities due to the contributions of those who replenish and protect our natural resources. This legislation supports our timber growers and lessens the economic burden of producing quality products that sustain numerous industries, from construction to manufacturing,” Governor Nathan Deal said. New Zealand’s forestry owners, managers and contractors are being cautioned to heed the changing times, as Chinese building activity is expected to ease in the year ahead. Westpac industry economist Paul Clark said the Chinese softening in demand during the next year is expected to slow demand for New Zealand logs, and prices should fall as a consequence. “This won’t be good news for forestry owners, managers and contractors, who have, for some time, dined out on China’s massive appetite for logs. “Cashflow-dependent contractors will be especially vulnerable during this time,” Mr Clark said in report on the forestry and wood processing sector. However, as with every supply and demand story there is a winner, and Mr Clark picked lower prices would be better news for the downstream wood processing industry. Your sipping habits at 33,000 feet are about to get a makeover: Today, Alaska Airlines became the first U.S. airline to ban single-use plastic straws and citrus picks in its lounges and on all flights starting July 16. The airline will replace the plastic utensils with Forest Stewardship Council (FSC)-certified, white birch stir sticks and a bamboo alternative for the citrus picks; non-plastic, marine-safe straws will be available upon request. The airline has partnered with Seattle nonprofit Lonely Whale on the initiative. 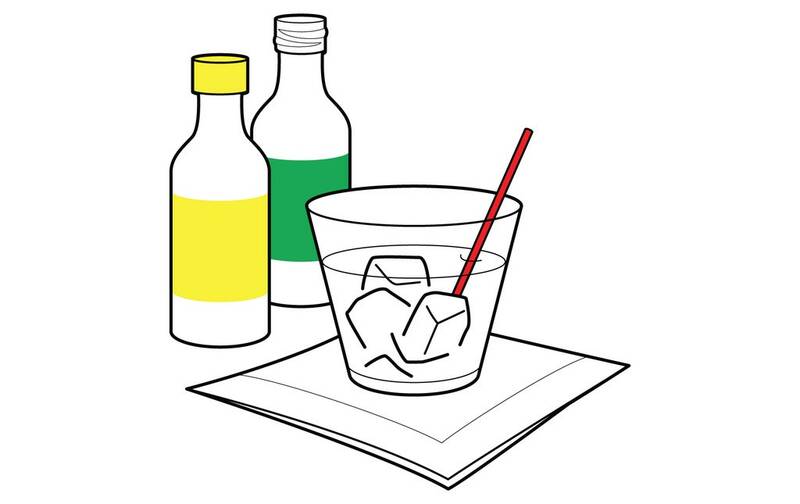 …Though Alaska is the first U.S. carrier to forego plastic straws, it isn’t the only one around the world: Fiji Airways and Thai Airways have said they’ll “significantly reduce” their single-use plastic onboard, reports the New York Times. Technology can create lumber resistant to fire, mold and termites. New York should allow it: …The Big Apple’s [floor-area ratio limit for residential buildings] arbitrarily prevents the construction of taller buildings with more units, driving up prices. But higher heights alone cannot solve the affordable housing crisis, when current building codes and regulations restrict developers to primarily concrete and steel—two of the most expensive, greenhouse gas–emitting and time-consuming materials—with which to build tall structures. The high cost of building with these materials hits developers and moderate-income tenants alike. Cities such as Portland, Newark and Vancouver have begun permitting construction of mass-timber high rises because it is a safe, environmentally renewable and less-expensive alternative to concrete and steel structures. Technology exists to create lumber that is resistant to fire, mold, and termites—the very problems cited in the past when restricting its use in inner cities. A building expert wants the Auckland waterfront area to get this country’s first timber high-rise, saying the Wynyard Quarter or Britomart areas would be ideal for a significant wood tower. 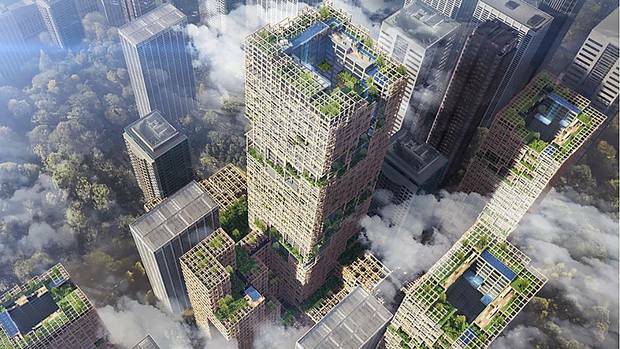 Damian Otto, director of design and digital construction at Takapuna-based Tallwood, called for Auckland to go green and build a timber tower of up to 15 levels. That would showcase what could be achieved after technical advancements in timber construction, he said. …New Auckland towers are all being built in steel (the 39-level Commercial Bay) and concrete (The Pacifica at 57 levels). But Otto said that could change. “…Wood buildings are lighter, so you can build more for less. Timber buildings also perform well in earthquakes. It’s only recently that the timber technology has caught up with materials and availability…” Otto said of the type of materials needed to build wood high-rises. The Responsible Wood logo won best brand and best design agency in the Oceania region in the 5th International Best Brands contest, which honours excellence in design around the world. Since Australian Forestry Standard changed its name to Responsible Wood in November last year – reflecting a clear consumer-focused strategy – the organisation reports a widespread ‘pick-up’ of the new brand by all sections of the forest and forest products industry, including architects, designers, specifiers and builders along the value-added chain. “The campaign is moving forward, raising the profile of the organisation and delivering greater benefits for those who participate in the Responsible Wood system,” CEO Simon Dorries said. Sophisticated new technology and rising demand for softwood lumber are changing the role of the traditional forester in B.C. Forestry has been a regulated practice in the province since 1947. Helping put the rules into practice is the Association of BC Forest Professionals (ABCFP), which is demanding more from its members than ever before. “We have spent several years on a broader education base for the future forest professionals,” said Michael Larock, the ABCFP’s director of professional practice and forest stewardship. …On the market side, the ongoing softwood lumber dispute and the renegotiation of the North American Free Trade Agreement have highlighted the debate over forestry’s future. Susan Yurkovich, president and CEO of the Council of Forest Industries, said the organization has filed three appeals of the most recent U.S. duties slapped on Canadian softwood lumber. British Columbia’s Forests Minister Doug Donaldson took a helicopter tour over the Cariboo region earlier this month – a landscape ravaged in turn by pests, fire and drought. Last summer, 19 wildfires converged here on the Chilcotin Plateau, 60 kilometres west of Quesnel, to form one of the largest wildfires recorded in B.C. I believe in the resiliency of ecosytems, that is my scientific training,” said Mr. Donaldson, a biologist who worked in the forest industry. But as far as he could see, the charred landscape offered little indication of life. In places, the firestorm consumed even the soil. “It’s comparable to a moonscape,” he said. “It’s daunting.”This region has endured an unprecedented series of disasters in recent years, and besieged residents could be forgiven for scanning the horizon for signs of another horseman of the apocalypse. In northern B.C., treeplanting is a part of our culture. Beer is also a part of our culture. Planting trees with beer? Yes, also a confirmed part of the culture. Since the dawn of silviculture, stream-chilled brews have been the evening reward for a long day’s screefing on the block. Since 1957, that beer has often been the locally made nectars of Pacific Western Brewing. 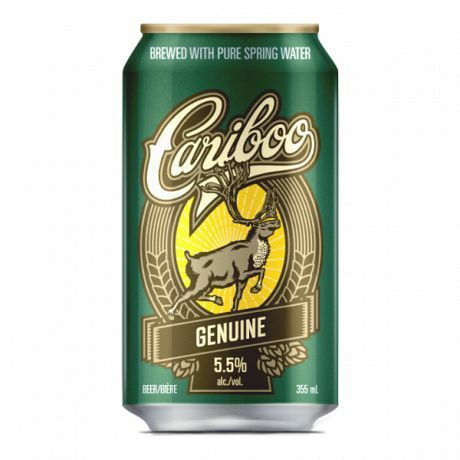 Since 2010, buying the Cariboo line of PWB beers has been tied to funding for northern treeplanting programs. This year, that money has been aimed at a particular aspect of silviculture. On Thursday, PWB officials released the details of how the Cariboo contribution was going to be allocated. “A team of more than 90 tree planters has been planting 100,000 seedlings on Crown land scorched by last summer’s devastating Elephant Hill fire,” said PWB spokesperson Kyle Sampson. Twelve forestry students, as well as officials from across the North Island, celebrated the grand opening of the new Fundamentals of Forestry Centre in Woss. …“There’s been a whole lot of organizations and people that have worked hard to make this school and the forestry sector strategy happen,” said David Mitchell, from the Vancouver Island North Training and Attraction Society. A $500,000 grant from the B.C. Rural Dividend Program, financial support from Island Coastal Economic Trust, and partnerships with Western Forest Products, Regional District of Mount Waddington, Vancouver Island University, BC Forest Safety Council and local organizations made the Fundamentals of Forestry Centre possible. MONTREAL — In an east-end Montreal neighbourhood, a polluted piece of former industrial land has become a garden. Willows sway in the breeze, creating a pleasant green space as the plants slowly reverse decades of industrial activity that has left the chemical-soaked soil of the Pointe-aux-Trembles site too contaminated to use. The trees are part of a four-year natural decontamination project by the city and the Universite de Montreal that uses the tall plants to rehabilitate former industrial “brownfields” that are left abandoned because they’re too expensive to redevelop. 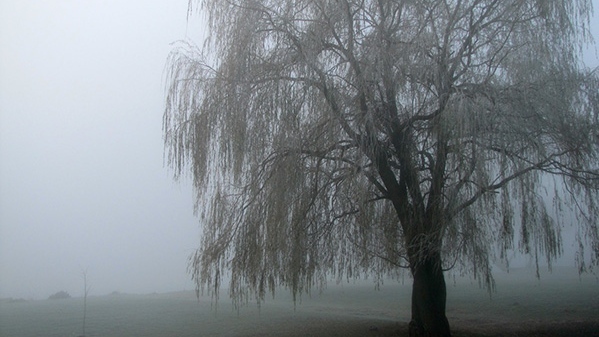 Michel Labrecque, the head of research at the Montreal Botanical Garden and a biological sciences professor, said willows are “an excellent material” for decontamination because they’re hardy, fast-growing, can survive Quebec winters and thrive in even the most polluted soil. 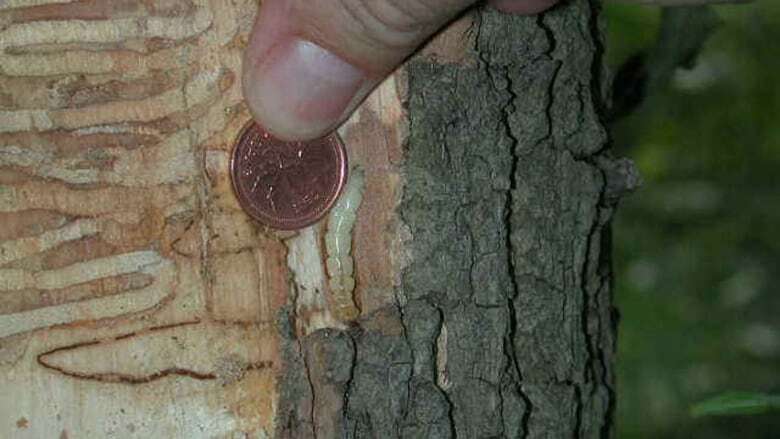 The emerald ash borer, an invasive beetle that has destroyed millions of ash trees in parts of North America, has made its way to Atlantic Canada for the first time, with a confirmed presence in Edmundston. The Canadian Food Inspection Agency will be conducting survey work with other government partners to determine how established and widespread the infestation is in the northern New Brunswick city. In the meantime, CFIA has restricted the movement of all ash materials, such as logs, branches and woodchips, as well as all types of firewood from the affected area to help slow the spread. The emerald ash borer poses a “major economic and environmental threat to urban and forested areas of North America,” CFIA said in an advisory. HALIFAX — The recent harvesting of old-growth forests in eastern Nova Scotia illustrates a “desperate need” to reform the province’s forestry practices, says a longtime conservationist. Ray Plourde, wilderness co-ordinator at the Ecology Action Centre, said Friday he’s not surprised by the findings of a new government report that says two of 12 stands partially harvested by Port Hawkesbury Paper contained old-growth forest. 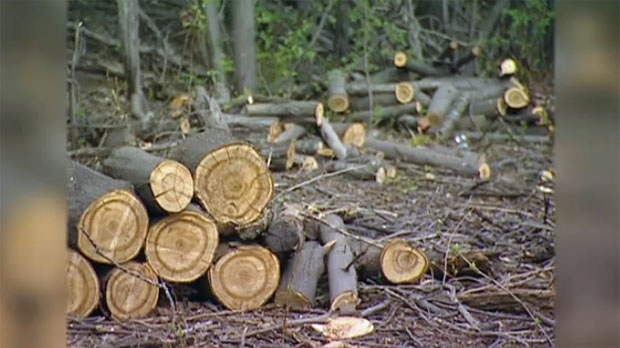 The report by Department of Natural Resources (DNR) forester Peter Bush also found eight of 15 stands that were scheduled to be cut in the Lawlor Lake area of Guysborough County also contained old-growth forest. “What we learned through this is DNR does not really oversee these regulations to make sure things are followed,” said Plourde who has held his position at the Halifax-based environmental organization for 16 years. MISSOULA, Mont. — More than 600 wildland fire professionals are in Missoula talking about fire prevention. 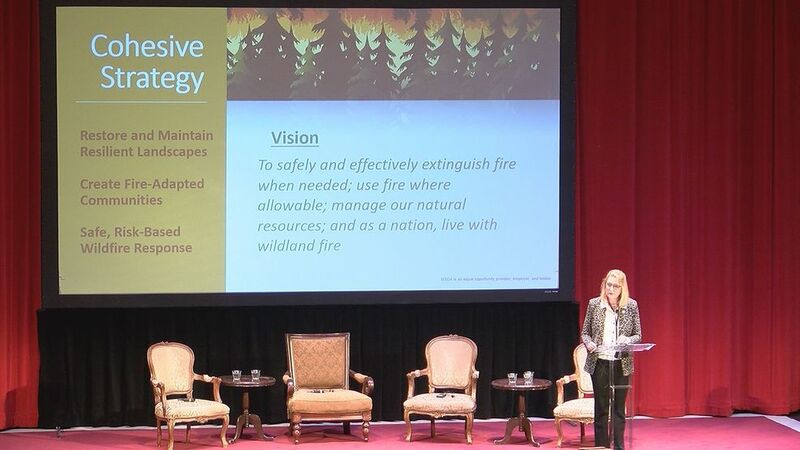 Vicki Christiansen, interim chief for the Forest Service, explained in her keynote event the changing face of disastrous fire seasons. She said there are over a billion burnable acres in our nation today, and last year’s wildfires set records across the board, from acreage burned to money spent and manpower. “And that’s just it — above normal is becoming the new normal. Something we can’t control. Nor can we control the challenges of increased development in the WUI (wildland urban interface). 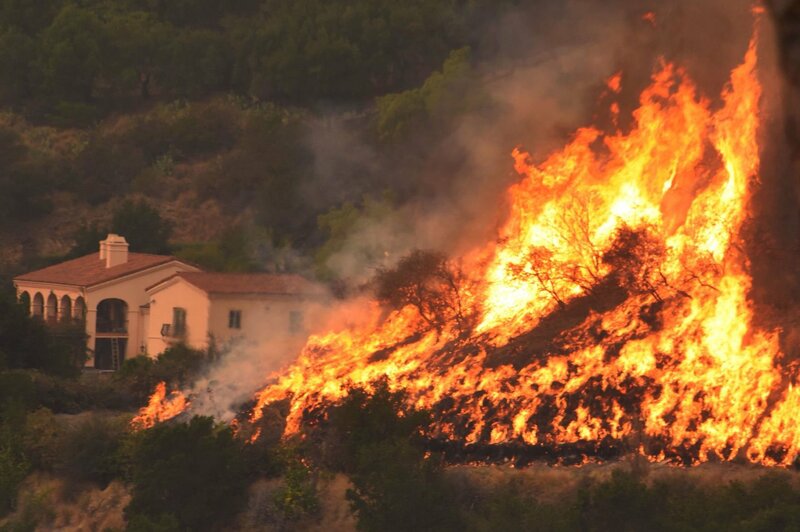 An estimated 120 million people, over 46 million homes are at varied levels of risk from wildfire,” said Christiansen. Washington—Western Rivers Conservancy and the Chelan-Douglas Land Trust have launched an effort to permanently conserve a property of immense importance to Washingtonians… In March, WRC signed an agreement to purchase the parcel, which spans 3,714 acres, including a steep, forested and highly visible mountainside on the southeastern shore of Lake Wenatchee, from Weyerhaeuser Company. The Weyerhaeuser land is permitted for logging, but the company has agreed to sell it given the importance of the property to the community. To keep the forest intact… the community around Lake Wenatchee must raise $1 million to fund the acquisition. 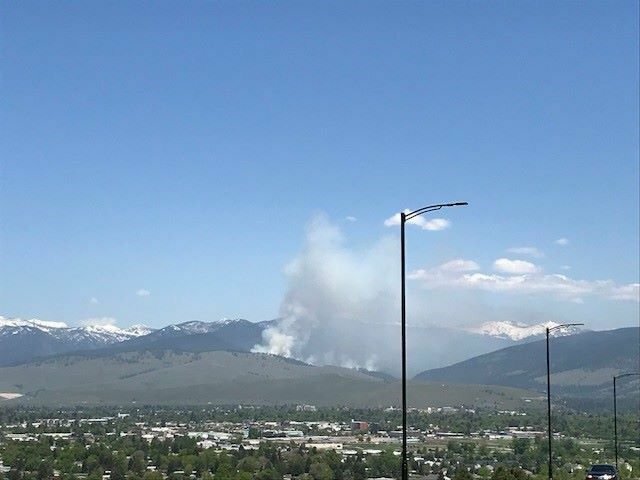 …In a guest column published in the Missoulian earlier this month, interim Forest Service Chief Vicki Christiansen noted that the funding infusion will allow the agency to complete more projects designed to prevent wildfires from starting in the first place. The Forest Service is in the process of drafting an explanation for senators on exactly how the money will be used. It’s clear those senators who voted in favor of the act expect at least some fire prevention to be accomplished through logging, as the legislation relaxes certain limitations on timber sales. This expectation misses the forest for the trees, however; high-intensity wildfires burn through untreated, thinned and logged forests alike. After the active fire season of 2017, residents, scientists and land managers throughout Southern Oregon and Northern California have been debating the purported benefits and environmental impacts of post-fire logging. Many in the timber industry and land management agencies claim that post-fire or “salvage” logging and artificial reforestation (i.e. tree planting) will reduce future fire severity and accelerate the regeneration of conifer forests on burned sites. 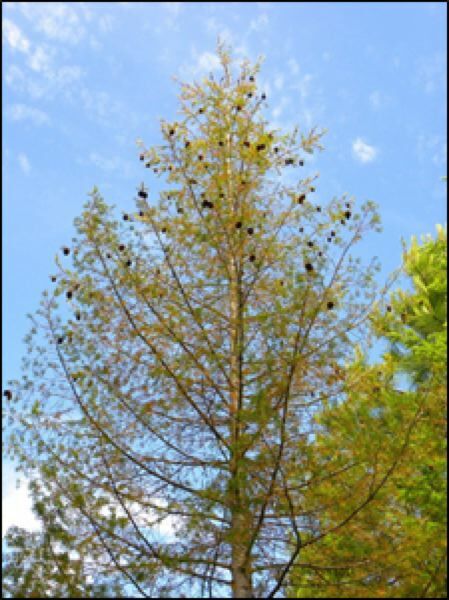 In reality, our forests are adapted to mixed-severity fire, including some high-severity fire effects. These forests have evolved to regenerate with abundance following high-severity fires, and the post-fire landscape provides particularly high levels of biodiversity. …Rather than restoring forest ecosystems and reducing the potential for stand-replacing fire, the post-fire logging proposed across our region will degrade important watersheds, increase fire risks and hinder forest regeneration. As another wildfire season approaches, we could all use a little assurance that efforts are underway to curb the rise in extreme fires we have seen in the past few years. Fortunately, a bipartisan group of senators, led by Jeff Merkley, D-Ore., and Mike Crapo, R-Idaho, announced the introduction of legislation (S. 2811) recently that would reauthorize and expand the Collaborative Forest Landscape Restoration Program (CFLRP). This program, which helps fund collaborative and community-based federal forest management, has a proven track record of improving forest health, reducing wildfire risk, and supporting rural communities. The bill would extend the program for an additional 10 years, and double its authorized funding level to $80 million a year….The forest health problem in Oregon and the West won’t be solved overnight, but we can’t wait a moment longer to take action. The first sale of burned, dangerous trees along roadsides in the Chetco Bar Fire burn scar were sold Tuesday for $1.52 million to South Coast Lumber of Brookings, the U.S. Forest Service announced Thursday. 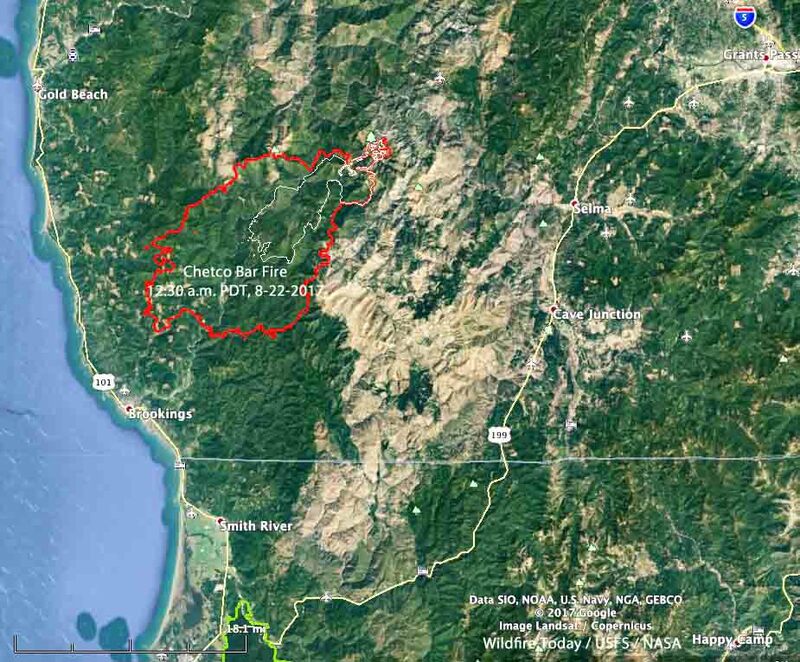 The 264-acre Packer sale along lower Chetco River Road to Vulcan Lake and including forest service roads 1376, 1909 and 1917, is projected to garner 9.1 million board feet of timber. Part of the sale proceeds will go toward forest restoration work. This sale was prioritized based on public comments from people wanting access as soon as possible, said public affairs officer Virginia Gibbons. Salvaging the timber in the backcountry has garnered a lot of attention in town, with many people saying the proposed amount to be removed from the burned area isn’t enough. The forest service is proposing to cut trees on about 4,000 acres, or 2.5 percent of public lands that burned last summer. Environmentalists have failed to persuade a federal judge to block the salvage logging of hazard trees burned during a 2016 wildfire in Idaho’s Boise National Forest. Over four months, the Pioneer Fire burned about 190,000 acres in the forest, including areas frequently visited by tourists. The federal government decided to harvest about 70 million board-feet of dead and hazard trees from less than 8 percent of the burned area. Three environmental groups — Wildlands Defense, Alliance for the Wild Rockies and Native Ecosystems Council — filed a lawsuit opposing the plan last year. The complaint argued the U.S. Forest Service didn’t properly consider the effects of salvage logging on the bull trout, a threatened fish species, in violation of several federal environmental laws. It rains a lot here, but lately it’s not enough to meet the needs of thirsty trees. Oregon’s Department of Forestry expects more trees to die this year from drought and attacks by bark beetles. Last summer was warmer than normal, and the last winter was drier than usual. Both may contribute to the trees suffering in coming months. According to Oregon Department of Forestry entomologist Christine Buhl, warm days in spring mean beetles start attacking earlier in the year. Bark beetles serve an important purpose in the forest ecosystem, picking off the weak trees, allowing the stronger ones to thrive. However, when all trees in the forest become weak from things like drought, beetle populations can increase. The increased numbers give the beetles an upper-hand against the normally strong, healthy trees stressed out by drought. The result is more dead trees. As part of the Commonwealth Forestry Association’s commitment to supporting the professional development of young foresters we are pleased to announce the launch of the CFA Young Forester Award 2018 in conjunction with the Faculty of Forestry at the University of British Columbia. The CFA Young Forester Award provides a short-term work placement of three months hosted by the University of British Columbia at their Malcolm Knapp Research Forest, between September and December 2018, where the successful applicants will be able to develop their practical skills. The Award covers flights, accommodation, local travel, subsistence costs and a small bursary to cover the period of the placement. If we don’t harvest native timber in Victoria, what’s the alternative? Surprise must have struck Sunday Age readers last week after innuendos, assertions and claims were fired at VicForests in these pages. Certainly, reasonable belief would have been tested by apparent revelations that Victoria’s native forests sector – perhaps our most intensely regulated industry – was left unbridled to defile all manner of harvesting codes and provisions. In fact, the native timber industry in Victoria makes a sustainable social and economic contribution through a record of compliance. VicForests harvests and regrows a renewable, carbon friendly product that is superior to the carbon footprints of alternate manufactured materials and of many imported timbers. Victoria enjoys 7.9 million hectares of Crown land, of which 7.1 million hectares is State Forest, Parks and conservation reserves and other reserves. The Rabbit Creek wildfire at Prince Albert National Park in Saskatchewan is growing despite the efforts of Parks Canada. The fire is now 24,000 hectares in size, with some spotting on provincial lands outside of the park boundaries. …According to a spokesperson from Parks Canada, all available resources have been deployed to this incident. Crews from the province of Saskatchewan, Little Red River Cree Nation, the province of Alberta, and the province of Ontario are also fighting the fire. Dry conditions and warm weather are contributing to increased fire activity and significant smoke in the area. Newfoundland and Labrador forest fire crews have been busy this long weekend, with at least seven fires reported in the province. Crews fought fires from central Newfoundland to the Avalon Peninsula Saturday, including in Badger, Brigus Junction, New Harbour, and Spaniard’s Bay. 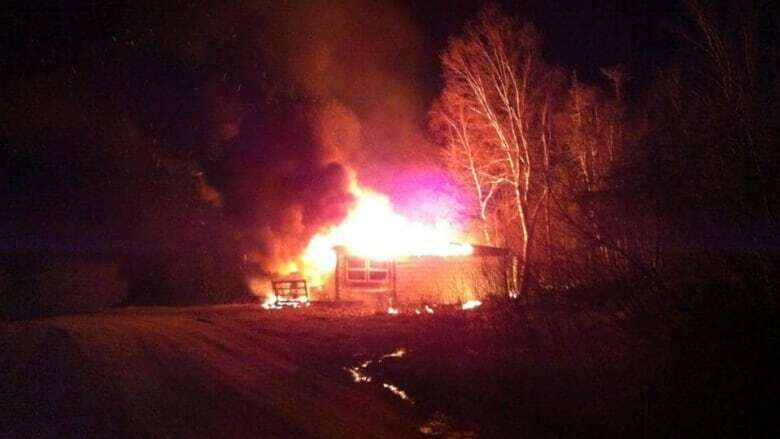 The Spaniard’s Bay fire required the assistance of several departments to get the blaze — which did burn close to area homes — under control, with water bombers also called in to help. A tweet from the Salvation Army Saturday night said some of those homes were evacuated, and they were “supporting first responders with food and beverages.” Forest fire duty officer Eric Young told CBC that one fire claimed a cabin near Boot Pond in central Newfoundland early Sunday morning. The fire in Badger started when some old cars were burned, and then spread to the woods. Whenever I write about climate change, a topic that is difficult to avoid in B.C. these days, I get two kinds of responses. The majority express relief that someone is questioning the religious dogma that surrounds this issue, where people are instantly labelled “believers” or “deniers” and debate is not tolerated. A dwindling minority still defend this tired “science is settled” position, ignoring conflicting evidence that continues to come in. Here’s an example of the latter responses: “I look forward to your next column where you discuss the different interpretations of gravity.” If weather and climate were as predictable as gravity, making policy choices would be less risky. But they’re not, as we are seeing with the second year of severe spring flooding around B.C. 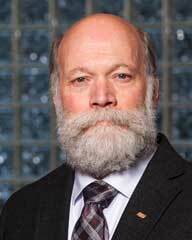 Vince Rutter hopes a new provincial wood heat pilot program awarded to select Northern Ontario communities will provide a “starting line” to finally get the ball rolling with the region’s bio-economy. In early May, Queen’s Park dropped $6.7 million from its Green Ontario Fund into Sioux Lookout, Wawa, Wiikwemikoong Unceded Territory on Manitoulin Island, and six Nishnawbe Aski Nation communities in northwestern Ontario. It’s an incentive program for residents and commercial property owners to switch out their inefficient wood stoves and heating systems for newer, cleaner burning wood technologies. The same week, Rutter, the president of Biothermic Wood Energy Systems in Thunder Bay, showcased to the local media a new hook loader truck, designed to deliver bulk loads of wood pellets to residential and commercial users. An environmental group’s report says state permits allow pellet factories to violate the intent of the Clean Air Act. The U.S. South has fast become the world’s largest supplier of wood pellets, a rising source of fuel for power plants primarily in Europe. An environmental group’s new report says the rapidly growing industry is threatening public health on this side of the Atlantic, with enormous pellet plants using regulatory loopholes to spew substantially more pollution into the air than the law intends — a charge the industry vehemently rejects. 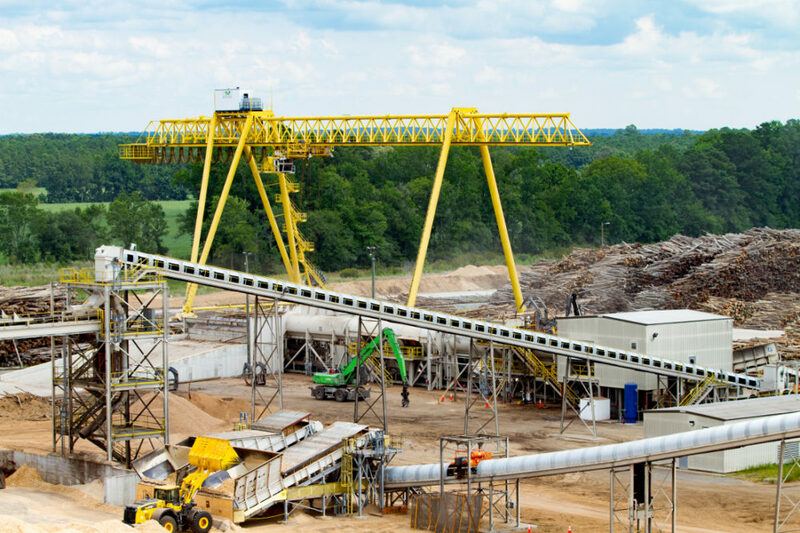 The problem is particularly acute in North Carolina, where pellet giant Enviva Biomass has cornered the market and runs the nation’s dirtiest pellet mill, according to the report. None of the state’s four plants deploy pollution-control devices common elsewhere, it says. The UK’s biggest power station has announced a £400,000 pilot scheme to capture the carbon dioxide produced from burning wood pellets. 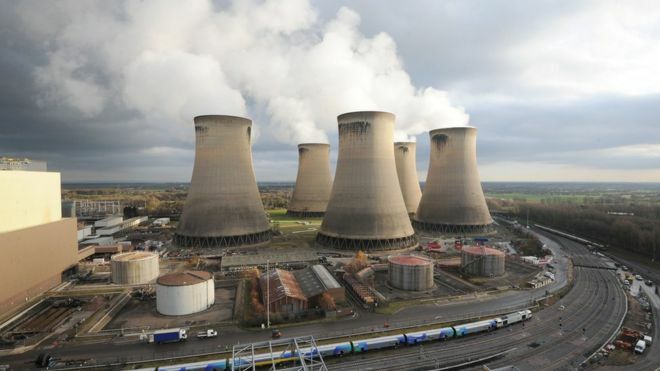 Drax power station, near Selby in North Yorkshire, wants to collect biomass emissions using “new chemistry”. It is believed to be the first bioenergy carbon capture storage (Beccs) project of its type in Europe. The power station has previously been criticised by campaigners for the levels of air pollution it produces. Drax said that if this pilot were to lead to a full roll-out, it would achieve what it called the “holy grail” of power generation. It plans to work with energy firm C-Capture, which is connected to the chemistry department at the University of Leeds.